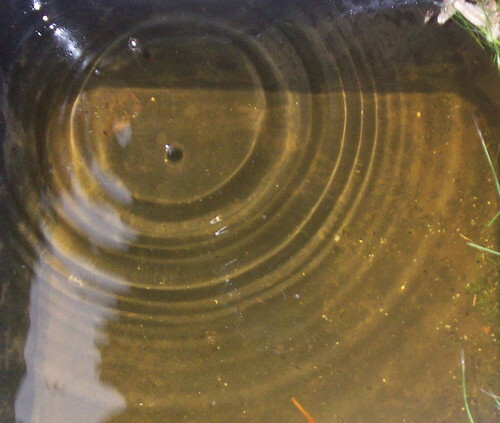 The best source of water for the garden is rainwater – but why? It is the right temperature; municipal water sources and well water are sometimes very cold, which is harmful to plants. Does not contain chlorine or other harsh chemicals like municipal water sources. Contains micro-organisms which are beneficial to plants. Rainwater is easily collected and is one of the most efficient ways to water your garden. The amount you are able to collect will however, depend on individual circumstances. For the sake of simplicity, I will concentrate on collecting rainwater in a residential setting (single dwelling). The methods may be scaled down to utilize individual resources available. The first thing you will need to do is acquire a rain barrel or three (depending on your eaves-troughs and downspouts). When most homes are built, there is an eaves-trough installed along the edge of the roof on either side of the home. Downspouts are generally attached and the water is either directed away from the home or collected. 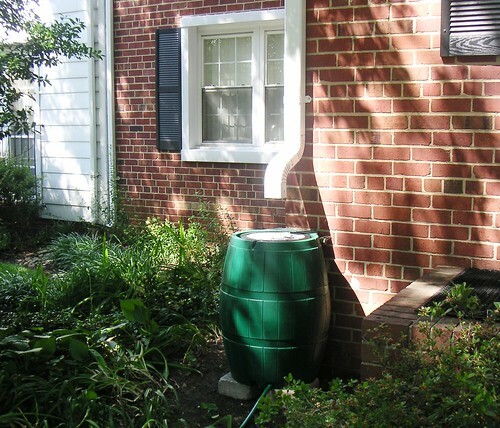 One of the simplest and most efficient systems to install is a rain barrel with a spigot. The spigot will allow you to attach a garden hose to make watering simpler. Your local garden center or hardware store is often a good source of rain barrels, but you can also add your own spigot to a recycled plastic barrel. A large plastic trash can is also efficient for storing rainwater. To make the most of your rainwater storage system, it is recommended to raise the barrels at least one foot off the ground. This may be done by building a wooden stand, or using new or recycled cinder blocks. The purpose of raising the barrel is to take advantage of the force of gravity. There are options in terms of collecting the most rainwater possible. Some barrels will have an overflow hole or tube, which can be directed into an additional barrel or tub. If your barrel does not have an existing overflow tube, it is quite simple to install one. First you will need to determine the height of the barrels or tubs you will be using. Your overflow barrel should be slightly lower than the main barrel to allow for easier water transfer. The containers may be the same size, as long as one is placed higher than the other. You will also need tubing or with an outside diameter of three-quarters of an inch and waterproof silicone (marine use is best as it will withstand the elements). Drill a hole that is three quarters of an inch in diameter approximately two inches from the top of your barrel. Insert one end of your tubing into the hole and secure it with silicone. Place your barrel on the higher stand, and put the second barrel approximately six inches away. If you wish to link more than two barrels, follow the same procedure, just remember not to connect two barrels together. Each barrel should have its own hose which is not secured to another container permanently. Place your barrels next to your home and direct the downspout into them. When your water catchment system is in place, you will be anxious for the rain to fall. One thing to remember is to be sure you close the valves after watering your garden. It is very disappointing to think you have a barrel full of water after a rain, only to find out the water went out just as fast as it went in. This particular scenario is not that bad when the rain is frequent, but in a dry spell you will want to collect as much as possible. It is not always possible to use rainwater for the garden. Circumstances such as a dry spell or forgetting to close the valve can result in your barrels being empty. One way to water your garden without causing stress to it is to fill your barrels several hours before with municipal water. Granted there are chemicals in the water source, but by allowing time between filling and watering, a good portion of the chemicals will evaporate. Another advantage to filling the barrels several hours prior to watering is the water temperature will be warmer. The roots will not be as shocked as they will with ice cold water, and growing time will not be hampered. In rural areas, gardeners may wish to pump water from a dugout, lake, river or pond for the garden. If this is the case, and you do not own the land with the water source, be sure to get permission to do so. Some areas have bylaws against pumping water from natural sources. Rural gardeners may also use water from the well, but it is equally important to allow sufficient time for it to warm up. Water from deep in the ground is very cold and may harm your plants, especially those that are sensitive to cold. The time of day you water your garden will have an impact on how well it is utilized. By watering in the evening or early in the morning, you will give your garden the best chance at survival. 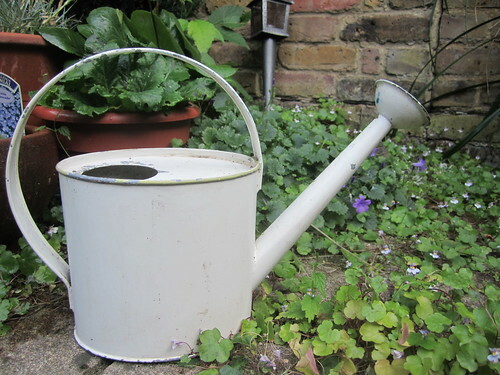 If you must water during the day (such as during extremely hot weather) use a watering can and water the base of the plant. This will allow the water to soak into the soil and minimize evaporation. Another reason to water during the cooler parts of the day is to minimize damage to leaves. Water droplets on the leaves will act much like a magnifying glass and cause scorching or burning. Occasionally there will be rainfall in the middle of the day followed by clear skies and hot sun, thus causing damage to leaves. It is beyond your control when nature does it, but there isn’t much point in encouraging the damage yourself. Where is your garden going to be in relation to your water supply? What type of system are you going to use for watering? Watering cans, buckets or hoses? In order to maximize efficiency it is suggested your water supply be relatively close to your garden. If you are able to utilize gravity, attaching a garden hose to your rain barrels will make watering quicker and easier on your back. Another option to consider is to attach a soaker hose to your water supply, which will provide a method of watering your garden at the base of your plants. This method will also free up your time so you are able to get back to that book you are reading (or writing). Gardening and growing one’s own food is a rewarding experience, no matter how much or how little you grow. Utilizing natural resources such as water is one of the best things you can do for your garden and one of the most self sufficient ways to water your garden. Setting up an efficient watering system will benefit your garden and saving rainwater is one small step in becoming both self-sufficient and utilizing the resources Mother Nature provides.